The seasons of life are constantly shifting, always in motion, everything ends, changes, begins. This year has been full of changes for me, some heartbreakingly jarring and loud – the death of my friend Blake -felt brutal, like a tall tree being cut down in the forrest, though now I understand trees do fall, and when they do, they sustain the life of that forrest. Other changes were more subtle, but I have felt acutely aware of them, the swirl around me as I move to another chapter in my story, another season. For my formative years I was endlessly in the sunshine, the light. under the big sky in a carefree Australia,then a diversely colorful and crazy Los Angeles.. I wonder now perhaps if these years were my summer? I was shining, free, open, exploring, reaching for the light. The past 7 years in the Pacific Northwest may have been my life’s winter. It is here that I’ve learnt about the seasons, the cycles and rhythms by which the great Mother Earth rules. I have been growing a garden myself, my daughters, my art, my story. In the winter the days are short, the dark is cold and heavy on me, my garden appears a cemetery for the lilac flowers and sweet smelling lush now gone. But I have learnt that under the soil in the deep, life is twirling and swirling. Soon to explode, to be more than before. My Spring is coming. 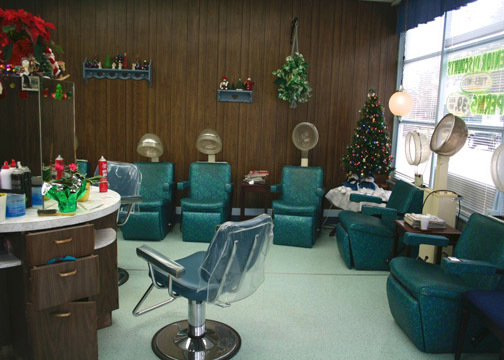 For others I know and love too, perhaps for the world in general..
Over a few years I photographed a local hair salon, where the ladies had been coming for many years, some since the 1950’s. Now in their 80’s, 90’s to sit with these beautiful women was such a treasured experience. I just found out Virginia is retiring and the salon closing. I felt a pang in my heart as I was told but there it is, change, the shifting sands, the in and out of the tides, the rise and fall of the sun and moon, never-ending cycles of beginning and end. A beautiful circle within circles we walk, sometimes dance.